3 Things that You Should Know About Career Development in Agile Context | Leanify Ltd. In recent years, being “agile” is nearly a standard in the IT industry. More and more companies transform their work processes and bring agile methodologies like Scrum, to meet the need for rapid adaptation to the dynamically changing business environment and to more effectively exploit the potential of their employees. An essential part of this transformation is the definition of roles and responsibilities within the team and the organization. This creates new opportunities for career development, but requires a change in attitudes and expectations, so that we can take advantage of them. In this blog I will focus on the key specifics in the philosophy, the structure and the roles of an Agile organization, the understanding of which is a factor in setting the right expectations and guidance in this environment. Agile is a broad term and encompasses various practices and methodologies, but undoubtedly one of the most widely and successfully applied frameworks is Scrum. If you are familiar at least in general terms with Scrum, then you probably know that the framework defined in Scrum Guide by Ken Schwaber and Jeff Sutherland provides a flat organizational structure with only three roles – ScrumMaster, ProductOwner and a member of the Scrum team. 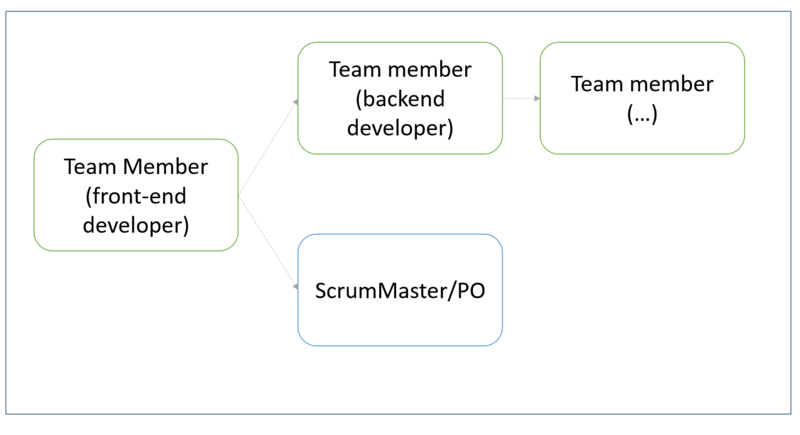 According to the creators of Scrum, these are all roles that ensure the smooth running of the process and the delivery of the desired product increments of customers with each iteration. The three Scrum roles have clearly defined focus and responsibilities. ProductOwner is the person who is responsible for defining the “what” needs of the customers, what is the problem to solve. Together with the team he/she offers and validates the solutions with end users and businesses seeking to create a product with maximum value for the targeted market. 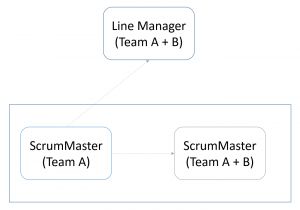 The role of the ScrumMaster is to train the team and the ProductOwner to implement the framework properly and to provide an environment in which the team can focus entirely on creating a product without being stopped by adverse interactions or impediments. This is an extremely dynamic and challenging role because the work involves a very wide range of activities – from removing technical limitations (e.g.,. inoperative systems or dependencies on other teams), through improvements to the process, to facilitating the communication and the relationships among team members. 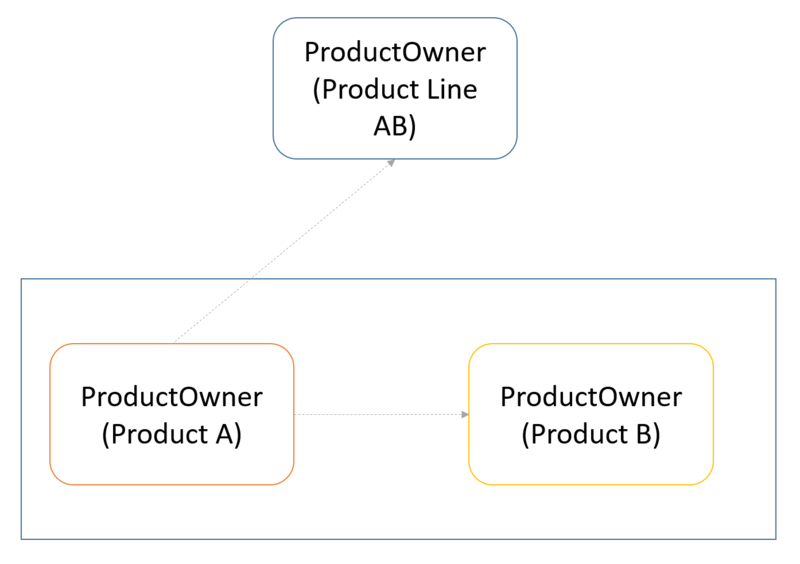 The team is responsible for deciding “how” to build the solution, technically speaking, to plan what can be delivered in a particular iteration based on defined by the ProductOwner priorities and to deliver the required quality. The team provides clear and well-timed information about their progress on the job. In Scrum the responsibilities for the project management are divided into parts – all participants in the process have their responsibility to deliver a product that solves a real problem, is delivered on time and with high quality. This requires a high degree of maturity and adherence to the best practices within the Scrum framework as each participant in the process must feel responsible and make the necessary, even if it is out of his/her expertise. So defined parts suggest the development of certain qualities and skills that are essential for proper implementation of the projects. 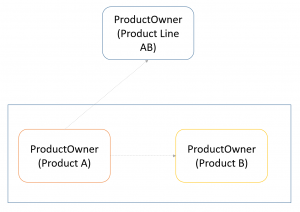 The successful ProductOwner must have knowledge of product management and must understand the business or the industry for which he/she creates solutions. Of great importance are a number of other qualities such as empathy, ability to develop a vision, communication skills, and team presentation skills. The ScrumMaster also seen as the engine of the process must be very energetic and self-motivated person. He or she must possess good self-discipline and organizational skills, understanding and ability to work with people, continually striving to improve processes, systematic thinking, interest in the topic and the ability to implement new practices from the outside. The team must be composed of people who have different skills (programming, testing, UX design, technical writing, etc.). It is useful if they are very good at their core area of knowledge of course. But what is more important is to have a desire for constant development and self-improvement, to commit to the success of the team by demonstrating responsibility, professional attitude to others and to work, curiosity and motivation to surpass the limits of their own field of expertise, for the better understanding of the needs of the user and to ensure a product of high value. True Agile organizations don’t have a deep hierarchy – on the contrary, the structure is rather flat with minimal levels which allows faster communication of objectives and strategies and direct link between management and teams. The growth in such organizations is more horizontal – through the accumulation of knowledge and skills from different aspects of the process of creating a product. Each team member has the opportunity, if he/she wants, to take tasks and manifests in areas not directly in his field of expertise – for an example, a tester to write code or to make UI design. 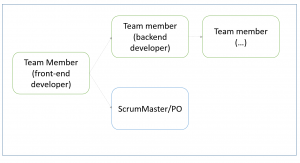 Moreover, as a team member, you can develop skills that make you eligible to take any of the other Scrum roles (Fig. 1). 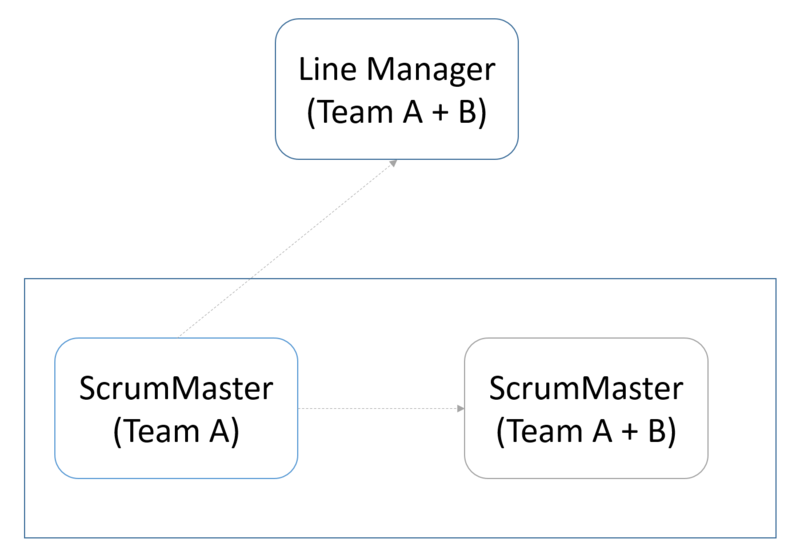 When scaling Scrum in larger companies the preservation of a certain hierarchy is often required to ensure the implementation of Agile practices is synchronized across the organization, not only in the individual teams. This provides opportunities for growth and vertically by taking more responsibilities for more products and/or teams. Thus, for example for the ProductOwners in a large organization, there are opportunities to develop expertise in new business areas or to take more responsibility and define the development strategy of the whole product line. Although Scrum does not predict a management role, in larger companies the need for managers exists. The Agile Manager is focused on building teams of properly selected people, developing their potential and skills, creating opportunities for growth. Because of the specific skills for working with people expected of the ScrumMaster, the management role is often a logical next step for the people who focus more and feel satisfaction by this aspect of the work (Fig. 3). As you can see, Agile creates new and challenging opportunities for you to unleash your potential in the direction you want. What is required of you is will, responsible and proactive attitude and discipline to develop the necessary skills and to be successful in your career.